Traditional styles in patio furniture and outdoor accessories are not for everyone. Sometimes, a homeowner wants a piece that will pop out as the center of entertaining, serving as a focal point or conversation starter. From chic furniture to vibrant umbrellas, stand-out pieces bring new life to outdoor spaces. Combined with comfort and unique style, the Acapulco Collection, from Z-Line Designs, provides the ambiance needed for hours of luxurious entertaining and relaxation. 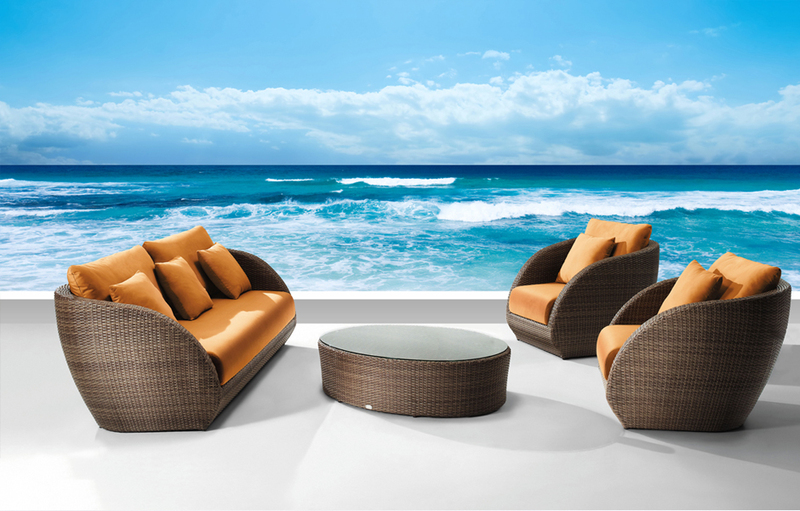 With its sleek curves and plush deep seating, your backyard will turn into a resort. This arrangement brings exceptional character and charm into any outdoor setting. 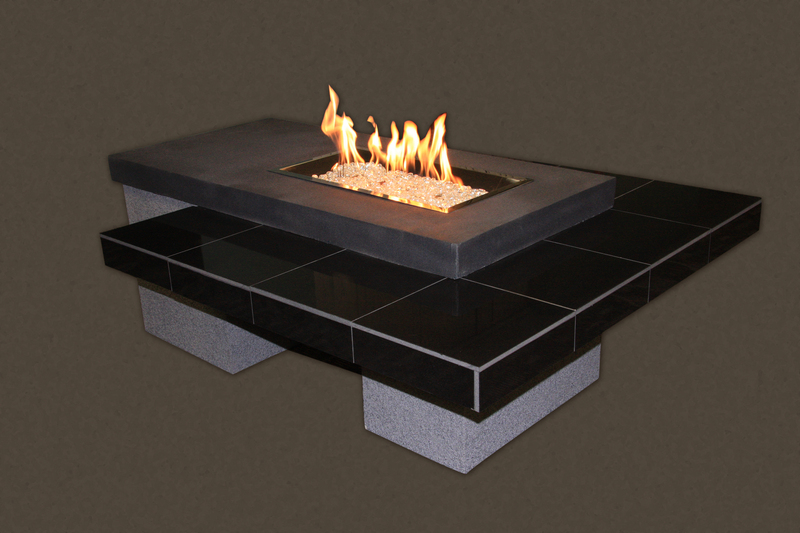 A modern look in granite and stucco, the Uptown Fire Pit Table, from The Outdoor Greatroom Company, is designed with clean, simple lines, and engineered to showcase a stunning glowing fire that is sure to heat up one’s outdoor space. This two-tiered table is functional as well as beautiful and makes for a perfect area to entertain.